Looking for natural history books? Biblio.co.nz hosts hundreds of of the finest online book stores and booksellers, including specialists in natural history. Use the list below to locate a specific specialist bookseller or book store near you. Or, use the form below to search the inventory of all booksellers who specialize in natural history. Selling quality used and o/p material since 1984, first in Seattle, and since 1993 in New Hampshire. Member NHABA. All DJs are put in mylar sleeves, all books have a box built around them for shipment. Our stock is 95% non-technical non-fiction, with a smattering of trade paper and literature. No longer strictly mail order. Our new place is open by chance or appointment, but no set hours. Do call first before you come to confirm we'll be here. About Books is a second generation shop specializing in second hand, out of print and antiquarian books in most subjects. 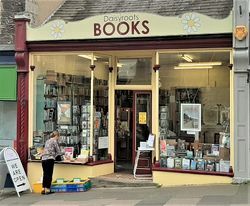 Addyman Books is based in Hay-on-Wye, the book capital of the world, with almost 30 bookshops in the town, nestled in the Black Mountains of Wales. 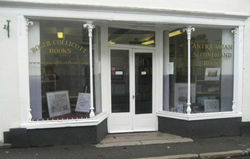 We have been established since 1986 and have three shops, Addyman Books, Addyman Annexe and Murder & Mayhem. Large general stock. Murder & Mayhem specialises in Detective Fiction, True Crime and Horror. 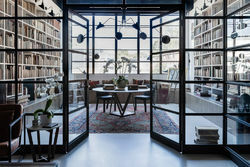 After its foundation at Utrecht in 1970 by Sebastiaan Hesselink, now an internationally recognized expert in the world of rare books, manuscripts & prints, Antiquariaat FORUM soon found place as a widely accepted member of the antiquarian book trade. We carry general stock in old and rare books, with special emphasis on the subjects of Travel, Natural History, Art and Architecture, Children's Books, Bindings, Coloured Plate Books, Emblem Books, Gastronomy, Medicine, Music, Science, 16th Century, Incunables, and Illuminated Manuscripts. All our books are in fine condition, and usually in original bindings. We specialise in old and rare books on Natural History, History of Science, Science, Anthropology and Travel/Exploration. We offer a great range of material priced between Euro 10 and Euro 100.000. We also have a big stock of periodicals on the above subjects. Some more precise categories are: Zoology, Faunal Works, Ornithology, Ichtyology, Molluscs, Herpetology, Entomology, Lepidoptera, Coleoptera, Diptera, Hymenoptera, Arachnology, Botany, Florae, Medicinal Plants, Mycology, General Sciences, General Natural History, Encyclopedia, History of Science, Earth sciences, Geology, Congresses, Regional Earth, Sciences, Expeditions, Palaeontology, Micropalaeontology, Palaeobotany, Palaeozoology, Fossils, Historical Geology, Mineralogy, Crystallography, Petrography, Mining, Geochemistry, Precious Stones. Antiquariat Botanicum is dedicated to providing quality books in a number of scientific and medical disciplines. Stock includes books, ephemera, manuscripts and specialized reference works. We specialize in building quality collections and welcome offers of individual books or collections for purchase or sale on consignment. Founded in 2005 our business is mainly devoted to rare books, manuscripts and decorative prints. Aquila Books specializes in books dealing with Polar Exploration, Western Canadiana, Mountaineering, the Canadian Pacific Railway, Early Voyages as well as many other areas. We also deal in antique maps and prints, historic photos, autograph letters, postcards, antique scientific instruments and antique bookcases. Please contact us if you have any questions. International specialist mail-order business since 1971 in the geological and biological sciences. Printed subject catalogues available free on request. On-line catalogues available for browsing on our Internet website. - Additional stock of interesting and scarce books in various subjects: literature, history, geography & travel, the arts, philosophy, etc. displayed on-line only in the sites of Abebooks, Biblio, Maremagnum, and BookPursuit, and Booklooker. 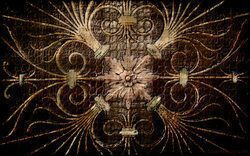 We specialize in rare and unusual antiquarian books in the sciences and the history of science. Additionally, we specialize in 20th century physics, mathematics, and astronomy. Medium sized stock with a specialism in natural history, science and medicine books. We are former bricks & mortar book and antique & collectibles store owners, now selling only online. We try to provide the best shopping experience for you that is possible, and we pride ourselves on our customer service. We adhere to the ethics specifications of IOBA (Independent Online Booksellers Association). All our books are first editions / first printings in dustjackets (where issued), unless otherwise noted in the description field of each book. Specialties are modern firsts, signed books, signed and unsigned limited editions, authors' first books, horror, sci-fi and mystery, earth sciences including plants, animals, ecology, environmental, archaeology, and anthropology, Native American, mythology, antiquarian books, and a selection of (mostly sci-fi and mystery) paperback originals.� We stock a bit of everything, from scarce and rare collector books to excellent condition inexpensive books for readers. Founded in 1970, B & L Rootenberg Rare Books has served a large international clientele of collectors as well as private and public institutions in the acquisition of rare books and manuscripts, and in collection development. We are among the leading specialists in the fields of science, medicine, technology and natural history. We also maintain high quality rare books and manuscripts in diverse subjects including travel and exploration, literary classics, economics and philosophy, Americana, and modern first editions, many inscribed. Our expertise and familiarity with these subjects allows us to acquire and house major collections in these fields. We are dedicated to our customer's specific needs, and look forward to developing long term relationships by keeping you informed about significant materials in your areas of interest. B & L Rootenberg Rare Books is located minutes from West Los Angeles, near UCLA and the Getty. We always welcome visitors, though appointments are suggested. We occasionally issue finely printed and illustrated catalogues as well as specialized subject lists, and are constantly adding existing and new material to our website. We exhibit at several national and international book fairs during the year, represent clients at auction and offer appraisal and other professional services. We are always interested in purchasing single items or entire collections, and would be pleased to consider any materials you wish to sell. Special requests and specific wants will be given particular attention. We are always available, via phone, fax or email, to answer questions, search for a specific title, or provide information on our inventory. "The largest second-hand bookshop in England." Half a million books in stock, covering most subjects. Only a small percentage of our books are catalogued for online sale. 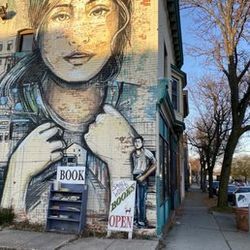 We are an independent, locally-owned shop dedicated to books and the people who love them. Here you will find two floors packed with volumes of enduring value, including familiar favourites, contemporary fiction, guides, books of local interest, and non-fiction titles covering everything from outer space to inner peace. We also have marine charts, art cards, unique prints, hand-crafted bags, and many other intriguing items. Located at Grace Point Square in the Village of Ganges, close to marinas and Salt Spring\'s renowned Saturday Market, we are open every day except Christmas and New Year\'s. If you want to pick-up a book you saw online, please call or e-mail ahead as many of our listings are kept in a separate storage facility. We offer a selection of rare, out-of-print, used, and collectible books, prints, and ephemera. Book Junkies is an independent Mail Order ONLY business specializing in books, but also selling posters, collectibles, etc. Private Premises by appointment only and various book fairs (see websites of "P.B.F.A." and "Missing Books" for details). A Georgian four-floor antiquarian bookshop in Carlisle's historic quarter specialising in Cumbria, Scotland, Mountaineering and rare finds. 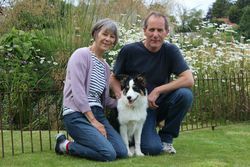 We are a friendly business, which was started by a local family and is run by friendly and experienced team members. Most of our stock is on-line only, though we have books in a large booth at the Roscoe Antique Mall, 1019 Gardner Street in South Beloit, Illinois, and across the street at Angela's Attic; and we work with A Room Of One's Own at 315 West Gorham Street in Madison, Wisconsin. �You may request to see any of our on-line inventory at either location with a few days' notice. Bookshop in converted Chapel in Cornish fishing port. We also stock old maps, prints and original paintings by local artists. Mom and Pop bibliophiles that need to sell books to fund their addiction. Our interests are broad and include Astronomy, Science, Nature, Natural History, Fiction, Non-Fiction, Modern Firsts, Signed First additions, Juvenile Fiction, Stamp Collecting, Coin Collecting, Travel, etc, etc, etc! We have been online sellers since 2010. Online bookstore specializing in rare and fine out of print books, with emphasis on history, natural history, art and architecture, and modern first editions. Appraisals conducted. Bruce Cave Fine Books specializes in quality fishing books – particularly fly fishing for trout, steelhead, Pacific and Atlantic salmon, striped, black, and smallmouth bass plus any other fish that’ll eat a well-dressed fly; fresh and salt water fishing anywhere on the planet, ranging from picky rainbows in the North Fork of the Feather River near Chester in Northern California to five hundred pound river monsters at Cao Lh in the Mekong Delta. That’s me in the top photo at age 10 in 1957 on the steps of our now gone cabin at Prattville on the west shore of Lake Almanor (it was elegant) – I’m holding the largest trout I’ve ever caught (seven pounds), and needed my grandfather’s helping hand to do it; that fish caught my imagination. 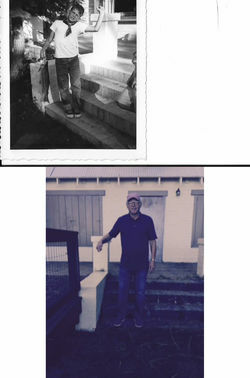 And that’s me in the second photo taken in late October 2014 on the same cabin steps, 57 years later, holding an imaginary fish. Between the intervening years I realized that reading about fishing could be nearly as good as fishing itself. I also came to know that fly fishing can be a metaphor for life; there are those moments in fishing that require neither stream nor fish, and sometimes the least important thing about fly fishing is the fishing. Now it’s catch and release for the most part – time spent in rivers and lakes together with age encourages it. Fly fishing is timeless; fishermen aren’t. I think Robert Traver had it right: I fish ‘because maybe one day I will catch a mermaid’; and I ‘don’t regard fishing as being so terribly important but because I suspect that so many of the other concerns of men are equally unimportant - and not nearly so much fun.' A life of fly fishing is beautiful and simple. I’m always interested in purchasing good books, booklets, pamphlets, catalogues, brochures and other ephemera on these subjects and encourage you to either email me at [email protected] or telephone 916.728.5019. Sincerely, Bruce Cave. WE have been selling books for over 20 years and are former members of the P.B.F.A. We closed our shop in 2001 and now sell on the internet and at book fairs. We have a general stock of about 10.000 items on all subjects and welcome enquiries on particular wants. Customer satisfaction is a priority. Over 40 years customer service experience. Principal location is found at the Getty Street Marketplace in Downtown Uvalde, Texas. A second location is located in Comfort Antique Mall. A third location is found in Lotza Stuff Flea Market and Antiques in Ruidoso Downs, New Mexico. With over 4000 titles concentrating on the Texas and the Southwest, as well as hunting, fishing and the outdoors, if you're looking for a specific title, i might have it. Large open shop with over 80,000 books. 40 years in the book business. Scholarly emphasis with especially strong holdings in Native American Studies, Art, Music, History, Natural Science, Math, Poetry and Languages etc. Feel free to contact us with your book wants. Christison Rare Books operates as a mail order business, based in Port Elizabeth. We are members of IOBA and SABDA. Whereas we stock thousands of books on a wide variety of subjects, our focus has always been on SE Africa - its peoples, wildlife and history. The store is managed by Lindsay Christison. Although we do not run an open book shop, prospective customers who would like to examine items described in our on-line list of stock are welcome to make an appointment. Clevedon Community Bookshop, co-operatively owned, opened on 31 December 2011 and now has a general stock of approximately 20,000 books. Our bookshop in Copse Road is open every day, seven days a week, from 10.00am to 5.00pm. The co-operative comprises just over 600 members from around the world and was set up to stop the only second-hand bookshop in our town from closing. The benefit of being a member/shareholder is only social: no-one benefits financially. All profits are used to improve the bookshop and its stock, and, through events, to contribute to the literacy and literary profile of our town. The Bookshop Manager has fifteen years' experience in second-hand bookselling. Email us if you would like to join our co-operative and thus jointly own our bookshop with us. A bricks and mortar shop in the world famous book town of Hay on Wye. 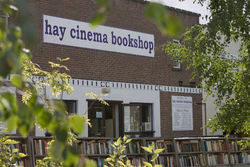 We are a medium-sized bookshop located in a small country town in the west of England. The shop is open for business from 1030 to 1700 Monday to Saturday. The building is a fifteenth-century former public house. We are still awaiting the day when we find a book older than the shop itself! Home to collectible and scarce or rare hard to find books and quality collectible fine art including wood sculpture, limited edition cast marble sculpture, paintings and wood block prints. Our book inventory has a large number of first editions, books autographed by the author, maps, limited editions and books with engravings. We have many scarce and collectible books. Our book specialties are art, archaeology, history, natural history, and fiction. Our art collection includes African tribal art, American, antiques, Asian, Eskimo, European, Far Eastern, Indian, Mid Eastern, 17th, 18th and 19th century, 20th century, contemporary, and Precolumbian art. We are a family run business with many years of experience selling books on on the internet as well as at Book Fairs. We also owned our own book shop in Leatherhead, Surrey but have now returned to working from home. We do our very best to provide good quality books at a fair price. We are very proud of our excellent feedback. Our books include first editions and reprints, almost new books and older books. Our regular customers include private collectors, booksellers, booksearchers, and booklovers worldwide. We aim to provide all our customers with excellent service & value. Member of Provincial Bookfairs Association. David Ford Books is a member of the P.B.F.A. and sells a wide range of quality out of print and antiquarian books through their retail outlet and at bookfair throughout the UK. Our retail outlet is at the Gillmark Gallery, Parliament Square, Hertford The condition of our books is of the utmost importance to us, with few falling below the VG and many in Fine condition. All dustwrappers are protected. Should you wish to discuss a book, or your requirements, please do not hesitate to contact us by email or (as I prefer to talk to customers personally) by telephone. Dogtales specializes in books about dogs - breed books, training books, adult and children\'s fiction - anything about dogs. Our inventory also includes hunting, horse, cat and natural history titles. Dunaway Books is an absolutely necessary stop for the bibliophile on the Grand South Grand strip. Housed within an airy, spacious former gallery, we carry an unparalleled selection of fine used, out of print and rare volumes. Upon stepping into our store, you will find aisle after aisle of scrupulously collected books treating a broad variety of subjects in depth. We keep new small-press titles by local authors or about local subjects, children's books and shelves of CDs for music lovers. There is something here for everyone. Whether you have a few hours or just a few minutes to while away, Dunaway Books is designed to be an intellectually and creatively stimulating place for the scholar, the collector, and the good old-fashioned voracious reader. Fireside Bookshop is now based in Littlehampton in West Sussex. We are open 5 Days a week from 11 a.m. - 5 p.m. Closed Wednesday and Sunday.For out of hours enquiries please email�[email protected]�or phone 01903 721985. An ever increasing selection of our stock of antiquarian, academic and secondhand books is listed on our online store�The Humanities Bookstore�with full search facilities and secure online purchasing.By ordering directly from us through our own website at�thehumanitiesbookstore.com�you are guaranteed priority service with preferential postage rates cheaper than through any multi dealer site we list on.We have been dealing in books since 1980 and offer a professional service via our shop and internet site, and welcome enquiries.We are always interested in buying books in our specialist fields and quality books in all subject areas, and can travel to view anywhere in the U.K. Please contact us for more details. Francis Edwards Antiquarian Bookseller, was established in 1855 in the West End of London. Now situated on the top floor of the world famous Hay Cinema Bookshop in Hay-on-Wye, "The Town of Books", the Francis Edwards division occupies four show rooms and has in stock over 3,000 volumes. We buy and sell books on all subjects, with particular emphasis on Travel, Natural History, Art & Architecture, History, Naval & Military, Literature and the Social Sciences. We also supply decorative bindings in calf and cloth. Our recently extended London branch on the ground floor of Quinto Bookshop in Charing Cross Road has in excess of 3,000 volumes. We are mail order Natural History book sellers, offering new, used and antiquarian stock, specialising in literature on herpetology and ichthyology. At the present time our business is conducted by mail order only and we regret that we are unable to accommodate visitors. We specialise in travel & voyage books, particularly relating to the Pacific, rare printed and manuscript Australiana, illustrated books and children's literature, colour-plate books including natural history, historical maps and prints, literature and history, and early Australian paintings and voyage art. For many years Hordern House has also been a highly regarded specialist publisher, and has attracted an international reputation for its fine quality publications. Small online retailer of mainly old publications but some more recent publications too. Ken Sanders Rare Books is a full service antiquarian bookshop in downtown Salt Lake City, Utah. We carry an ever-changing inventory of art, ephemera, maps, photography, and postcards in addition to a vast selection of used and rare books along with a few new books. We actively purchase and appraise books in all fields. I carry a general stock of approx 70000 titles of which only a small percentage is online. Viewing at my Ashmore bookrooms is welcome by appointment. While not specializing I have a good selection of art, natural history, military and surfing in stock. I also have many other non-fiction subjects, as well as approx 10000 paperback fiction titles on hand. Online Bookshop. To save on postage I will consider delivery to you in Adelaide by arrangement. I have a lot of Australiana, Aboriginal, War, Adventure, Travel, History, Natural History, Earth Sciences, Childrens, Fiction and others to put online. Keep checking because I will be adding to my catalogue for a long time! We sell books on Natural History, science, literature, history, travel, mountain, ecc. ecc. With more than 25 years of experience buying and selling out-of-print, collectible, and rare books, maps, and ephemera, I am now doing business from my home at 60 Poplar Heights Rd. ; Chanute, KS 66720; U.S.A. by appointment only. I offer a selection of more than 5000 books of all genre, as well as more than 1000 maps ranging from 15th century to early 20th. All inventory is hand selected and believed to be of significance for the collector, the reader, the historian or the general book lover. Historically, I have specialized in Kansas and regional history, but also maintain quality collections of Natural History, Theology, Americana, Railroad, Travel and Exploration, Medicine, Art, and Psychology, Neurology, and Psychiatry. Fine bindings, plate books, signed and inscribed items are an important part of my collections. Smaller, though intriguing collections of other genre are also a part of my holdings. Appraisal, consultation, and collection development services are available. Please come and browse, talk books, and have a cup of coffee in a relaxed and book friendly environment. But for the convenience of both of us, please email or call first. Trade terms available and dealers are welcome. Long Brothers Fine and Rare Books was established in 1996 as a natural progression of proprietor Jeffrey Long's historical and bibliophilic interests. We are located in West Seattle and can be visited by appointment only. We have operated since 1999 as an internet used and antiquarian bookseller to customers in over 50 countries from our private premises. Collectable, scholarly, and rare books concentrating on the anthropology, archaeology, and history of Middle America. Buy with confidence! We have been full time booksellers for over 25 years. For the last forty years we have been specialist in gardening, botanical and natural history books, but other subjects are stocked, also. Our website can be found at mikeparkbooks.com. Interesting catalogues of newly-acquired stock are issued three times a year. Please contact us to go on our mailing list. Our full listings can be viewed on our website at mikeparkbooks.com. We are passionate about antique books, and are constantly on the look out for rare, unique, historical, and beautiful old books to add to our inventory. Owl Books is located in Kinlough, Co. Leitrim in the north-west of Ireland.We stock a wide range of topics including Natural History, Country Sports, General Literature, Travel and Topography, Religious and Modern Firsts. We welcome any enquiries. I have been selling books in the Winchester area since 1978.I do not now have a shop.But if you visit Winchester feel free to telephone me to see if I can be of assistance with your book wants.I also exhibit at bookfairs in the UK,about �25 a year.�I like to sell books on�Natural History,Ornithology & Botanical works.Travel, Exploration,Field Sports, Military/Naval,Local (UK) History & Topography. Our bookshop opened in 1972. This we closed in 2005 and we now deal on the internet,at Book Fairs and by appointment at our warehouse. Member of the P.B.F.A. We are based on Dartmoor at Widecombe-in -the Moor. This is now by appointment only. Specialising in Local History and Topography, Devon and Cornwall also covered in depth. Antiquarian Books, Maps and Manuscripts of quality. PBFA members since 1982. Online bookdealer of ten years standing. Our aim is never to have a dissatisfied customer! Enquiries always welcome. We are a mail order Natural History book dealer open by appointment only. General Stock Used Books. Second Hand Prose, Inc. has been selling exclusively on the Internet since 1999. The retail brick and mortar store front closed in 1998. Internet sellers of ancient books from many years and appreciated on important International platforms, we particularly care about our customers’ needs guaranteeing privacy and a lovely buying experience with a simple management of orders, fast deliveries and security in payments. Our catalogue, continuously increased, offers a wide selection of ancient and scarce books, out of print books and prints. We currently speak Italian, English, French and Spanish, you can contact us in the language you prefer. We deliver all over the world. Our works are guaranteed original, authentic and oftrusty provenance. We release elegant certifications of authenticity on request . Shaggy Dog Stories specializes in used, rare, fine and antiquarian books on dogs and related topics in the broader area of natural history that includes other canids such as wolves and coyotes. Of course, a true shaggy dog story can touch on many subjects. I live in Scotland - a country long associated with great achievements in science, medicine and technology and it is towards these subjects I tend to gravitate. However, I also have a good selection of books on other subjects including history, literature, philosophy, travel and general academic. Quality and scarcity have always been more important to me than quantity. As a lifelong book collector, I have collected these books personally over many years and chosen them with care.and I will be very happy to answer any further queries you may have about them. Classic used and rare books store with an inventory of nearly 40,000 book in all fields specializing in classic fiction, modern 1st editions and modern literature, children and juvenile newer and collectible books,mystery,science fiction, fantasy, mythology, poetry, photography, art, history, regional and local history, religion, psychology, philosophy gardening, cooking, antiquarian rare books, etc. About Stella & Rose's BooksWe have an extensive shop situated in the beautiful and historic village of Tintern in the Wye Valley on the border between England and Wales in the United Kingdom.Located in the lovely village of Tintern - well known for its ancient abbey - Stella & Rose's Books has been established since 1991 and typically has up to 30,000 books in stock on many subjects but with particular emphasis on Natural History, Transport including Motor Sport, History, Art, Military, Childrens and Science & Technology.Stella & Rose's Books have received consistent praise - and awards - for our customer service, and books are carefully packaged in professional book boxes to ensure that they reach you in the best possible condition. The Hermitage Bookshop was established in 1973 and has been under one owner since its inception. We are a full service rare and used bookshop and our stock is limited to hardbacks in excellent condition. We have been a member of both the ABAA and ILAB since 1980. We place a strong emphasis on personal customer service, accurate book descriptions, responsive communication, and quick shipping. Every book we ship is wrapped in foam, then cardboard, to protect the corners from bumping. If you ever experience a problem with one of our books, contact us, we will resolve any problems to your satisfaction. Our main goal is that you are pleased with your purchase. Please contact us if you have any questions. Ursus Rare Books is renowned throughout the rare book world for handling outstanding copies of important rare books. Our inventory ranges from early printed books to modern livres des artistes. Our particular strength is in illustrated books of all periods; from the 15th to 21st centuries. We also carry fine copies of literature in all languages, art and architecture, natural history, voyages and travels, landscape gardening and fine bindings. Ursus is dedicated to developing long term relationships with clients in helping them to form first class collections. 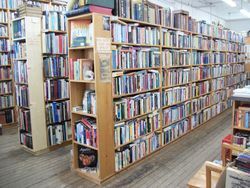 West Elk Books specializes in books on Colorado and the American West; children's books; volumes on natural history and the outdoors; and art books. Same-day shipping and attention to customers are points of pride! Since 1975, William Reese Company has served a large international clientele of collectors and private and public institutions in the acquisition of rare books and manuscripts and in collection development. With a catalogued inventory of over thirty thousand items, and a general inventory of over sixty-five thousand items, we are among the leading specialists in the fields of Americana and world travel, and maintain a large and eclectic inventory of literary first editions and antiquarian books of the 18th through 20th centuries. We issue frequent, and substantial, catalogues in our fields of specialization. and we are equipped to produce smaller lists devoted to specific subjects with ease in response to requests. Our store is open to visitors by appointment only.